Many of today’s organizations seek to build productive work environments where teamwork is encouraged and tasks are completed in a timely yet flexible manner. As the traditional office setting becomes increasingly obsolete, new technologies have allowed colleagues to work together from different time zones and different locations across the world. While companies and clients don’t always have the opportunity to have face-to-face interaction during the development process, Agile Project Management allows for constant communication and integration of changes in a collaborative manner. The goal is to ensure that all stakeholders remain satisfied as they work together toward project completion with input from all parties, and without delaying the development process. Agile Project Management empowers project stakeholders to collaborate and execute a plan while quickly responding to changes in the industry. To help project managers adapt to and embrace this dynamic approach, Brandeis GPS offers an online Agile Project Management course that covers characteristics and delivery frameworks. 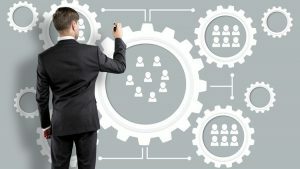 The course also explores how agile methods differ from traditional project management, along with how to recognize projects that may be suitable for agile techniques. Topics covered include Scrum values, roles and deliverables; additional agile and iterative methods; scalability and enterprise-wide considerations.